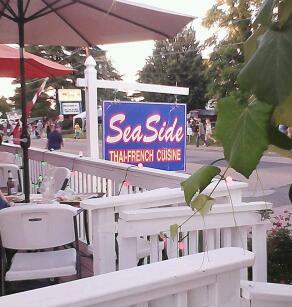 Sea Side Thai & French restaurant is on the corner of Washington and Wilder in Colonial Beach. This is the site of the former Margherita Peruvian restaurant. It is also the site of the former Mayfair movie theater, which burned down in the Spring of 1972 after some renovation work had just been completed. New in 2018 is an outdoor staircase from the patio to the upper deck. Draped across that structure is a banner proclaiming they will soon be serving Sushi! I know many are looking forward to this, myself included. 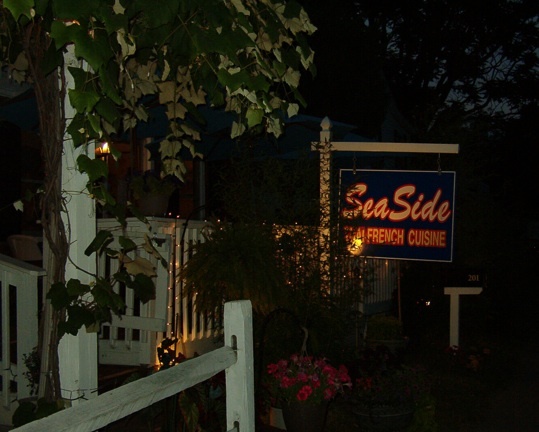 A 2010 recipient of the local Chamber of Commerce's Business of the Year award, this place should definitely be on your list of places to visit in Colonial Beach. I have tried their Pad Thai (#25 on the carryout menu) and it is delicious. I also recommend their creme brulee dessert - yum! There are indoor and outdoor dining tables at this establishment. 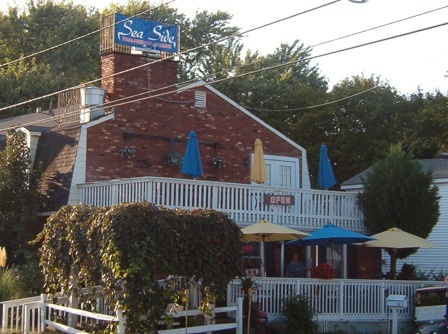 The outdoor patio provides streetside views and is a great vantage point for the parades that take place in town during different times of the year. Did I mention they also do catering?